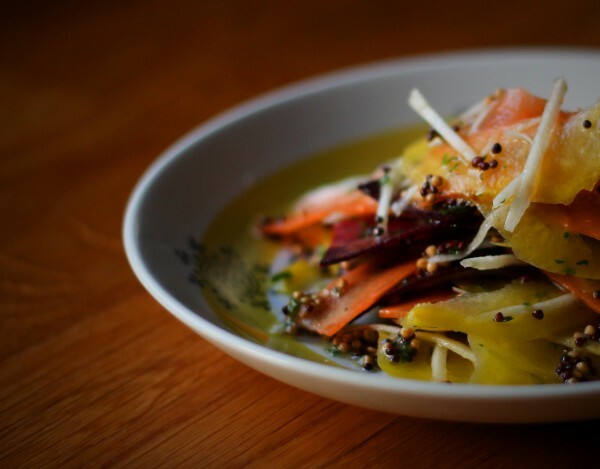 It’s time for a root vegetable salad with mustard seeds and vinegar. It’s simple, tasty and lets you use some of the delicious vegetables that you might not use for salads that often. It’s very easy, peel and wash root vegetables. Slice them thin and make a vinaigrette with mustard and red wine vinegar, combine with the vegetables and serve. 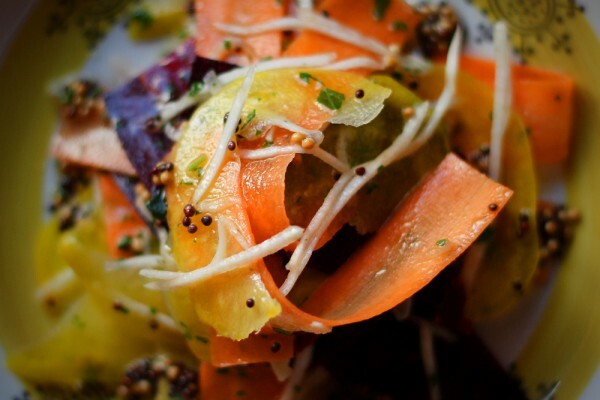 A simple root vegetable salad that tastes amazing. I love salads like this one. Root vegetables flavored with mustard, oil and vinegar. The thing that stands out with a salad like this is, of course, the ingredients. Because honestly, how often do you make a salad with beets, carrots, celeriac or any other of the many great root vegetables you might find in season. Besides the flavor, this type of thinly sliced or shaved salad is very easy to put a twist on or just make different each time. Just pick different vegetables and different flavorings depending on how and with what you are serving it. 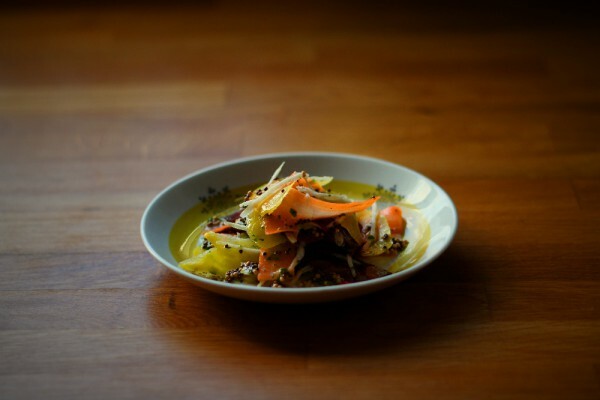 Here it is a root vegetable salad with mustard but it could just as easily be a shaved carrot salad with dill or maybe a celeriac salad with mayonnaise and walnuts? Just shave or slice and add nice tasting stuff. Good luck with this salad and I hope you like it as much as me. Peel and wash the vegetables and then slice thin using a potato peeler, combine in a bowl. 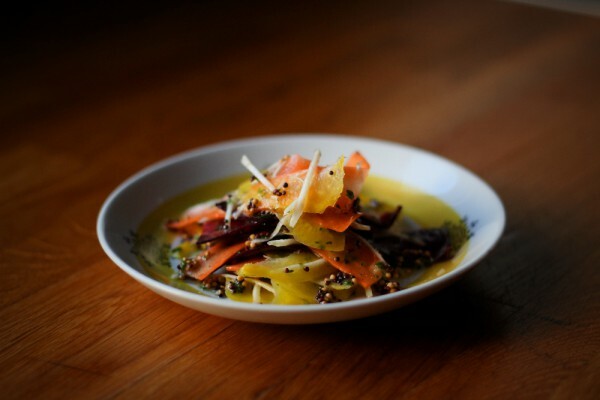 Combine olive oil, mustard, vinegar and mustard seeds, chop the parsley and add to the vinaigrette. Season and adjust the flavors to your own liking, I make it a bit more acidic than a normal vinaigrette and quite a bit of mustard so the salad gets a little sting, add salt and pepper and combine the vinaigrette with the vegetables, serve. For more great salads you can take a look at all our stuff about salad, recipes, tips and food culture here.